Come experience a great homecooked meal at Dockside Willie's Restaurant in Wiarton. Dine in, or on our patio, with breath taking views of Colpoy's Bay. Dockside Willie's is a family restaurant, with fast friendly service, and a menu to satisfy all ages, open year round and fully licensed.  Don't forget to visit "Wiarton Willie" while you are here!